A goalkeeper’s importance in a football team cannot be understated. He is one of the most important players in the team and someone who can also be called its ‘backbone.’ He is the first player in the formation and hence is often given the number 1 shirt. The goalkeeper is a team’s last defender and when all plans fail, he must be the one to bail his side out of trouble. He is confined to touches with his hand within the penalty box and can make or break a side’s fluidity. 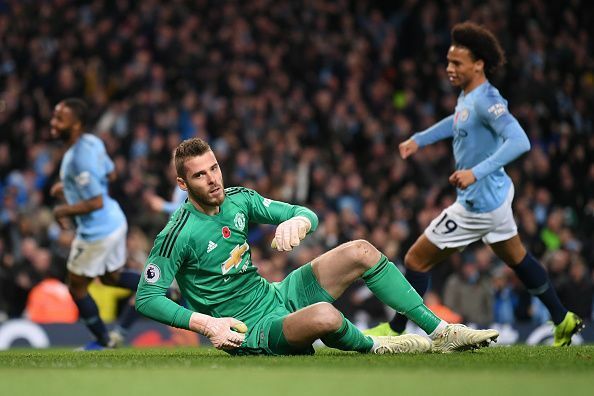 The Premier League consists of some of the best goalkeepers at the moment and all credit must be given to them for helping maintain their team’s goal difference. While a goalkeeper is only as good as his team is, or to precise, as good as his defenders are, he can still make a difference with his glovework. We pick a list of the top 5 goalkeepers in the Premier League at the moment. Liverpool have maintained seven clean sheets this season, the most by any team in the Premier League along with Manchester City and though all credit must go to their defenders, the man in between the posts, Alisson Becker must receive some praise too. Signed from Roma this summer, the Brazilian has had an almost immediate impact in the Premier League. He is a technically sound ‘keeper who is backed by defenders Trent Alexander-Arnold, Virgil van Dijk, Dejan Lovren and Andrew Robertson. 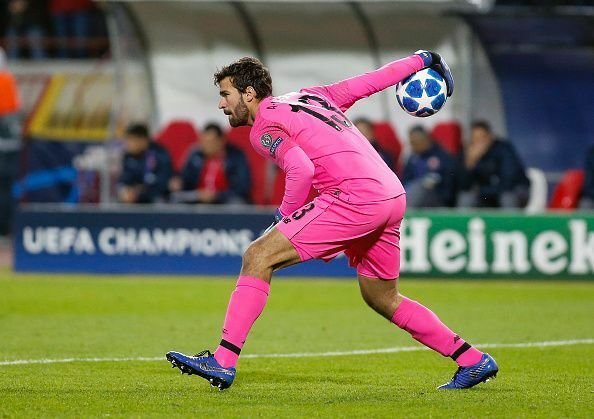 Alisson is safe as houses when the ball is near him and can be trusted. 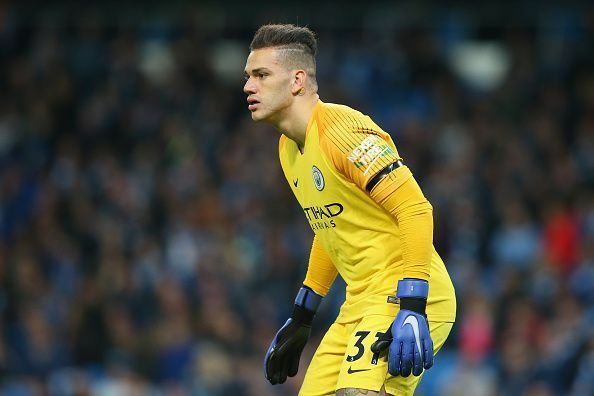 Another Brazilian makes this list and this time it is Manchester City’s Ederson Moraes. He has maintained seven clean sheets this season and has been very efficient between the sticks. Ederson also has an assist to his name this season which proves that he is the perfect sweeper-keeper to have around in one’s team. Although he made a foolish tackle in the Manchester derby to hand neighbours United a penalty, Ederson has more or less been on the finer side of things. He too is an excellent gloveman and someone who can give long balls in precise positions. 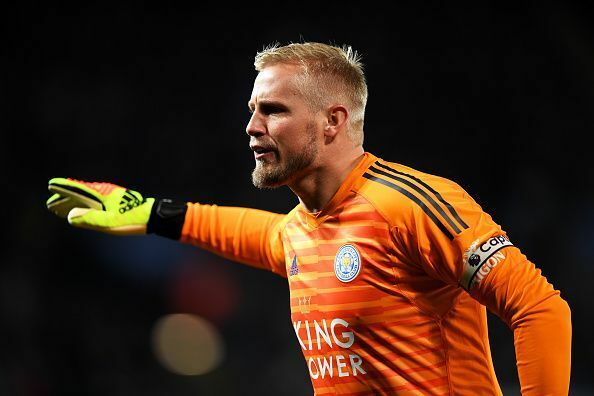 Leicester City’s Kasper Schmeichel has maintained four clean sheets this season and while the number seems lowly, what gets him in this list is his brilliant reflexes. He is very good against close-range shots and penalty-stopping is one of his most admirable qualities. Schmeichel, the son of former Manchester United ‘keeper Peter, is extremely strong between the posts and also has a penchant for delivering long balls. The Dane is vital to Leicester City’s style of attack as more often than not the ball starts flowing from his end into the attacking third. 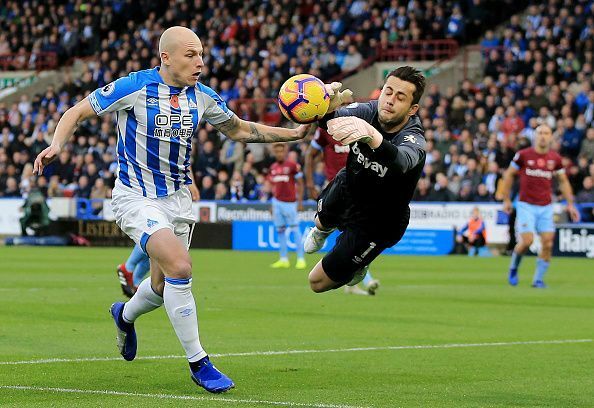 Polish goalkeeper Lukasz Fabianski has been brilliant in the Premier League for West Ham United this season and made a stunning 51 saves. Fabianski’s reflexes are awe-inspiring and he has the ability to stop balls from close-range shots. He is also a very good long passer of the ball. Fabianski signed for West Ham this summer for 7.2 million Pounds after his former club Swansea City got relegated. He also spent seven years at Arsenal between 2007 and 2014 for whom he could only make 32 appearances. Although West Ham have maintained just the one clean sheet, Fabianski’s performance has been noteworthy and his individual brilliance has placed him in this list. Supposedly the best goalkeeper in the world, David de Gea barely makes this list as Manchester United have maintained only one clean sheet this season and he has been individually poor too. His lack of form was apparent in the World Cup when he conceded too many goals for Spain and made childlike errors. He is not helped by the fact that United’s defenders are far from being world-class. He has made 42 saves this season but he has been far below the standards he set for himself last year when he won the Golden Glove for maintaining the most number of clean sheets in the Premier League.